John Polewski is 58 years old, married to his lovely wife Sandi for 35 years, and the proud father of Amanda, 28. Mr. Polewski is active in his community, having recently served as Chairman of his local Chamber of Commerce and as president of his Rotary Club. He serves on the boards of several charitable and civic organizations, and has done so his entire career. Among Mr. Polewski's current civic commitments is his service on the executive board of Brighter Tomorrows, a non-profit organization which provides shelter, food and necessities to abused women and children, along with counseling, transitional housing and life skills training so they can reclaim their lives and dignity. Mr. Polewski also serves on the executive board of the DeSoto Chamber of Commerce. From the day he passed the Texas Bar Exam with the second highest score of more than 2,000 people who took it with him, Mr. Polewski has represented people and businesses in serious litigation. Well known and respected by both trial lawyers and judges, Mr. Polewski is now in his 32nd year of law practice. "I have known Mr. Polewski since he became an attorney in 1984. I presided over his first jury trial which he won against an attorney many years his senior. It is a comment on his professionalism that on that occasion, the lawyer that he defeated offered him a job on the spot. Nothing in his career in the years since has changed the very high opinion of Mr. Polewski that I have always had of him." Mr. Polewski is certified by the Board of Legal Specialization of the State Bar of Texas as a Personal Injury Trial Law Specialist. This certification, obtained only after a difficult and specialized examination, extensive trial experience and recommendation by other trial lawyers and by trial judges, is by no means a routine accomplishment: less than 3% of all Texas lawyers possess this qualification. Read more about Board Certification here. Due to his success in handling major personal injury cases and Wrongful Death cases, Mr. Polewski has an even rarer qualification – membership in the Million Dollar Advocates Forum. Mr. Polewski is also a member of the prestigious American Board of Trial Advocates, an invitation only, national organization of the most experienced trial lawyers in America, dedicated to the preservation of justice and the American civil justice system. Licensed to practice law in both Texas and Arkansas, Mr. Polewski represents clients throughout both states. Mr. Polewski's excellent reputation is confirmed by his top ratings in nationally recognized, independent lawyer ratings organizations. Mr. Polewski holds the top rating of "superb" in the AVVO rating system (view Mr. Polewski's AVVO rating here). 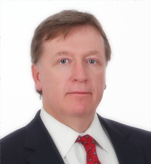 He is recognized year after year as one of the top personal injury lawyers in the Dallas area by Expertise--see their rating here: http://www.expertise.com/tx/dallas/personal-injury-attorney. Mr. Polewski was also honored by being named as one of "America's Top 100" lawyers. He is also a recipient--for eacj the last 20 years running-- of top ratings in the Martindale-Hubbell Peer Review process. The Martindale-Hubbell Peer Review Ratings system, used by legal consumers for over 100 years, is based on the confidential opinions of other lawyers and judges familiar with the lawyer being rated. Respondents are asked to assess the lawyer's legal ability and ethical standards. Mr. Polewski's legal skills were rated by other lawyers and judges as "very high to pre-eminent," and his ethical standards were rated as "very high" – both of which are the top ratings possible. Please contact our experienced Wrongful Death, medical malpractice and personal injury team today by calling 972-230-6200 to schedule your free initial consultation with Polewski & Associates, serving clients in Dallas and throughout Texas and Arkansas.